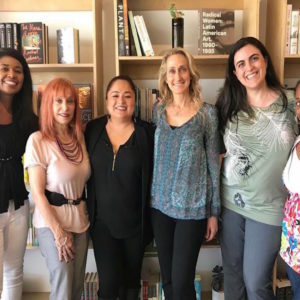 The Los Angeles Chapter of the Women’s National Book Association brings together individuals with diverse backgrounds to exchange ideas, focus on issues, network, and support the local book community. In an effort to advance knowledge of the world of book publishing and related fields, we welcome, encourage, and educate people from all areas of the book industry, particularly women. Our members include authors, screenwriters, poets, songwriters, performance artists, activists, readers, publishers, librarians, booksellers, educators, publicists, editors, production/graphics specialists, agents and reviewers. We welcome new members all year long, and your dues of $45.00 cover the membership year of June 1 through May 31. 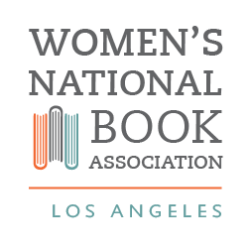 Reflecting the diversity of our membership, WNBA-Los Angeles offers a seasonal program schedule that presents networking opportunities and timely topics concerning book publishing and issues surrounding the book industry. Bring together women and men who are active in the world of books. Educate and inform the public about the need to create, produce, distribute, and use books. Respond to requests for information about books and the allied arts and generate and support projects that help to disseminate such information. Serve as a catalyst for all in the book community who wish to work together. Welcome to the original WNBA—the Women’s National Book Association, established in 1917, before women in America even had the right to vote. WNBA is a vibrant national organization. 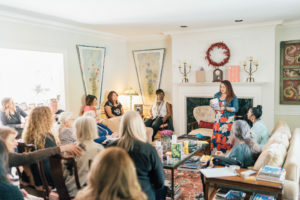 There are chapters with active members in New York, Detroit, Boston, Nashville, San Francisco, Charlotte, Seattle, Washington DC, New Orleans, South Florida, Philadelphia, and Los Angeles. 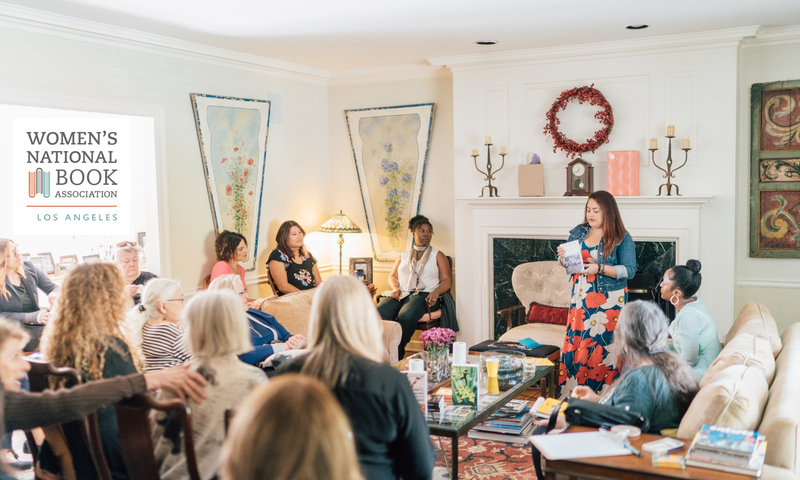 WNBA has individual Network Members across the country, numerous corporate Sustaining Members, and chapter Honorary Members in the world of books and beyond. WNBA is a broad-based non-profit organization with some 800 members across the country, three distinguished national awards, and a history of lively events in chapter cities and elsewhere. Autumn 1917: Women across America awaited the Senate’s vote on the proposed 19th Amendment to the Constitution, which, when ratified in 1920 by two-thirds of the state legislatures, would give women suffrage. A group of fifteen women booksellers excluded from membership in the all-male Bookseller’s League met in Sherwood’s Book Store, 19 John Street, in downtown New York to form the Women’s National Book Association. Its unique characteristic was that membership was open to women in all facets of the book world, publishers, booksellers, librarians, authors, illustrators, agents, production people—the only criterion being that part of their income must come from books. Almost one hundreed years later, with chapters spanning the country from Boston to San Francisco and with Network members across the country, the WNBA continues to champion the role of women in the world of words. Today, membership is open to women involved in all aspects of publishing and to men who subscribe to the Association’s goals. During these years, WNBA has run seminars on bookselling techniques, published four books, led in-service courses for teachers on children’s books, sponsored book and authors’ luncheons and dinners, participated in local book fairs, been active as a non-governmental organization member at the United Nations, entertained visiting book women from abroad, and surveyed the status of women in publishing. Believing that books have power, WNBA has made it possible for people engaged in various book activities to help broaden their part in the book world, and to know one another as individuals with common problems, aspirations, and goals. Women today have more opportunity to make change and move ahead than ever before. The Women’s National Book Association is the organization in which they can come together, define goals, develop leadership, further communication, and organize activities to benefit women. Nearly one hundred years after our foremothers struggled for the right to vote and learned how successful organized women can be, WNBA celebrates its continuous commitment to improving the status, image, and role of women in the world of books. The first issue of The Bookwoman, the organization’s official publication, appeared in November 1936 through the generosity of Constance Lindsay Skinner, author, lecturer, and active member of WNBA. Since 1940, the Women’s National Book Association Award (formerly the Constance Lindsay Skinner Award) has been given to a book woman for “meritorious work” in her special field. During the 1960s, the Amy Loveman National Award for the best personal library collected by an undergraduate in an American college was a major project. The Lucile Micheels Pannell Award, which promotes the creative use of books with children, was established in 1982 with funds bequeathed by the late Mrs. Pannell, who was a founder of the Chicago chapter of WNBA. This award is given annually at the American Booksellers Association convention. Given annually, the WNBA Eastman Grant is a cash grant given to a library association in a state where there is a WNBA chapter. The funds are given to support librarian professional development or training offered by an official library association. The WNBA national board administers the program and selection of the library association to receive the award occurs at the WNBA annual national board meeting.